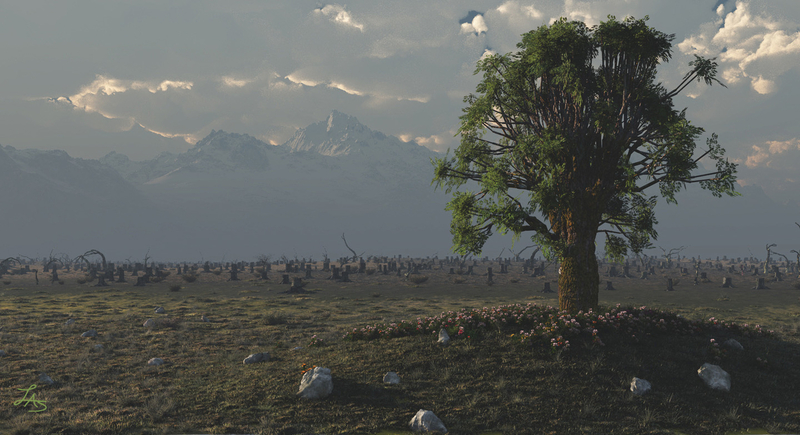 This scene was created for the Vue Environment Competition 2010. It didn't get anywhere, but I'm quite pleased with the result. Minor adjustments were made in Photoshop, but they could have been done using Vue's post-processing tools.